Day #2 of Babypalooza is here! What do you get when you mix a vintage Beetle and a stunning summer night? Magic! 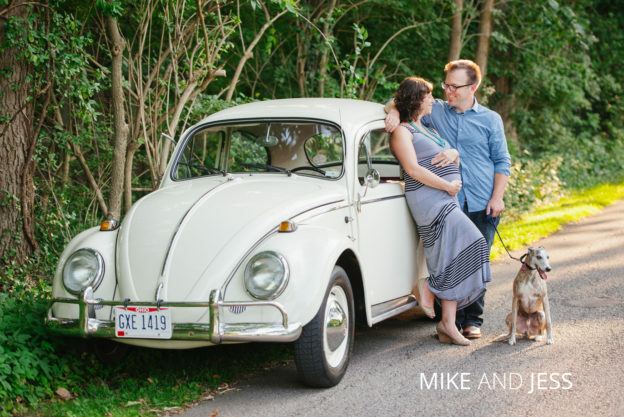 Mike and Jess are Clintonvillions (not to be confused with the Clintonvillans) through-and-through, so we met one evening last month at the Whetstone Park of Roses for a maternity mini-session. 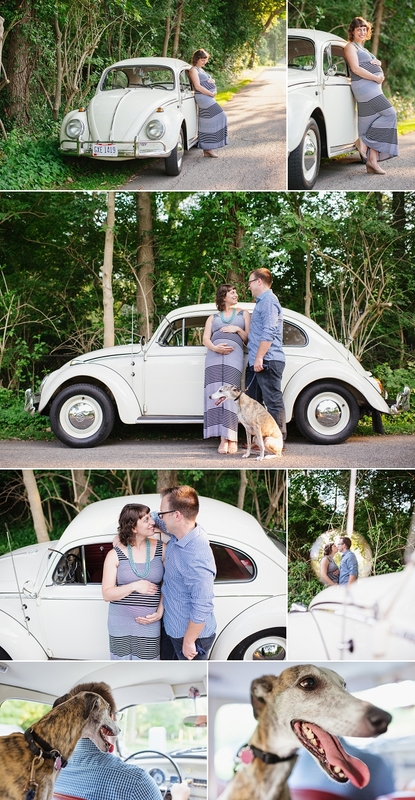 They brought their VW Beetle with them which made for some of the coolest and original maternity photos ever. I got to ride in the back seat with their dog Rory. It is truly a cool little car, and I now see why people love their vintage VW’s. They are expecting a little girl next month! That time will come and go like a flash of light. Until then, I wish them so much peace and quiet and restful nights. Lol! 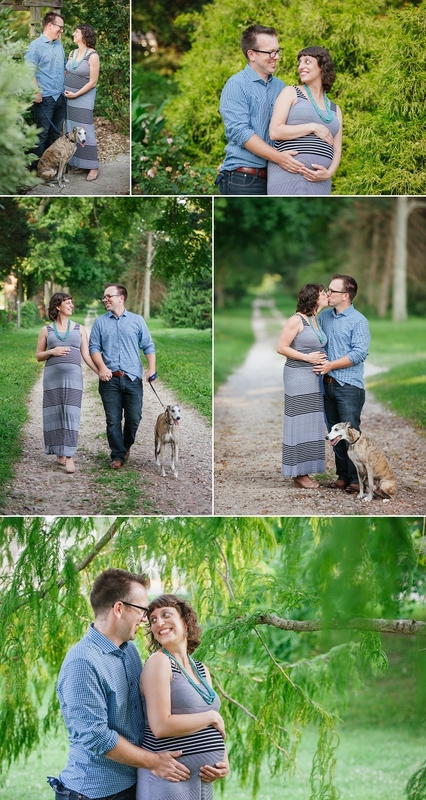 I wanted to start out Babypalooza week with a couple of micro-maternity sessions I did last month. Today’s post was for my friend Erin and the shoot only lasted about 15 minutes on the most beautiful summer evening. The light and the surroundings at the lush Whetstone Park of Roses were just magical. Erin gave birth 4-5 days after this, so needless to say, she was only up for just a couple of shots. First of all, who looks THAT radiant when they’re 9 months pregnant? I sure didn’t. I’m so excited for their little family. Hunter has been an adorable addition and has made one intensely grateful mama.